Depart any day May-November and customize your tour at no extra charge! We are small group and family tour specialists. 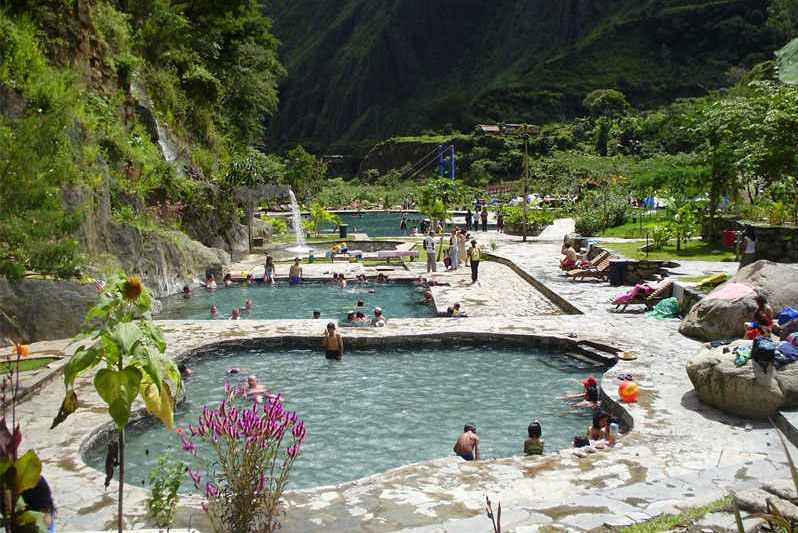 Discover Machu Picchu from a more adventurous route than the rest of the crowds, with the option of biking, zip lining and relaxing in the hot springs at Santa Teresa. This tour also travels to Cusco, the Sacred Valley and Lima. Day 3: Abra Malaga Mountain Pass (optional biking, not included). Day 4: Zipline and Hot Springs. Day 5-6: Machu Picchu tour, then free time at the site. You will be collected from your hotel in Cusco in private transport, and transported to the Abra de Malaga (or below, depending on the group). (approx 3 hrs drive) Here we will start the optional an interesting and sometimes slightly hair-raising downhill ride. This is suitable for people of moderate fitness, who like a bit of a challenge. approx cycling time is about 4-5 hours but you will be accompanied by a support car at all times, so if you want to retire, you can get into the car. For the hardy, we will cycle all the way to Santa Maria. Other groups prefer to end earlier. We will have lunch en route, visit some Inca ruins, and in the afternoon drive to Santa Teresa. You will spend the night in Santa Teresa tonight. This morning we head out for a zipline adventure. For those who do not want to take on the challenge of the zip line you have the option of staying at Colcamayu hot springs or taking a forest walk. After lunch in Santa Teresa, we will drive to the Hydroelectric Station. Here you have the chance to see a small but interesting Inca ruin while waiting for the train. The train departs at 7.30pm and takes about one hour to arrive to the town of Aguas Calientes. En route you can look up and see Machu Picchu above you. Overnight in Aguas Calientes tonight. Early morning tour of majestic Machu Picchu. Known as one of the greatest architectural achievements in the world, this historic sanctuary is considered one of the seven man made wonders of the world. After a guided tour, take time for independent exploration of this magnificent site. We will spend a night at the village below Machu Picchu and also come back the next day for more exploration. This allows you plenty of time at the ruins as well as time for some beautiful day hikes in the surrounding mountains on day 6. Sunrise at Machu Picchu! Today is a great day for independent exploration. During peak visiting hours (10-2), try a hike on one of the surrounding Inca trails on Wayna Picchu or Machu Picchu Mountain. Return by train and car to Cusco in the afternoon. Departure day. A private transfer to the international airport is included. Backdoor to Machu Picchu is an eight-day tour which includes some high-altitude walks of up to 1 hour. The trip also includes walking around ruins and during city tours. As always, a certain patience is required for the inconsistencies and occasional delays of developing-world travel. This tour includes 2 and 3 star hotels. We would be happy to give you an upgrade to four or five star or quote you on 2 stars hotels to help lower the price. If you would like to select a specific hotel let us know your preference. We can then work it into your custom itinerary. It is best to bring from home such items as prescription meds, eyewear and care, unusual film and camera batteries. Please make sure to bring used batteries home to recycle! Lake Titicaca: similar to Cusco with stronger sun and colder nights.